Browse » Home » Warehouse Sale » T-Pot Deepavali Warehouse Sale: Korea & Japan Branded Home Appliances at Up to 70% Discount! T-Pot Deepavali Warehouse Sale: Korea & Japan Branded Home Appliances at Up to 70% Discount! 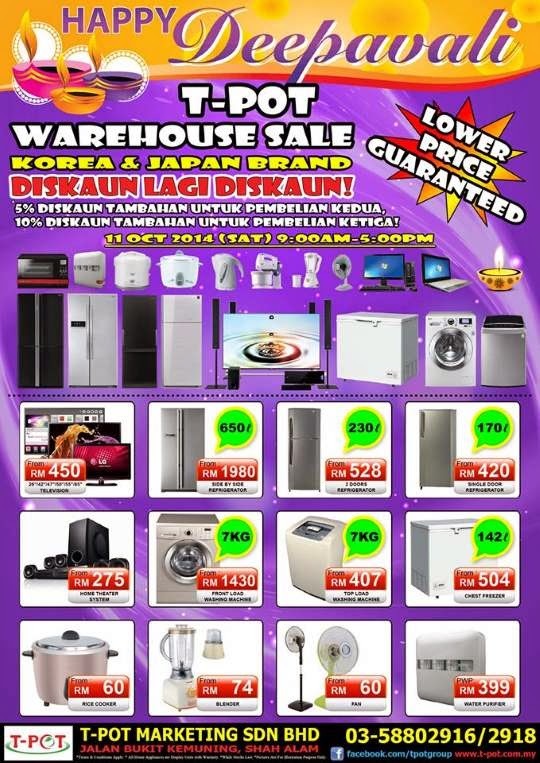 Warehouse Sale on Korea & Japan Branded Home Appliances at Up to 70% Discount! ~ 10% additional discount for 3rd purchase!